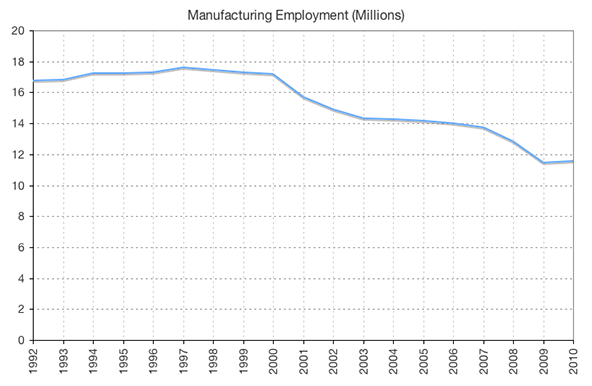 Adam Davidson (of Planet Money fame) has an excellent piece on manufacturing in the Atlantic this month. In it he does a superb job of illuminating the shifting landscape for manufacturing employees in modern factories. The piece is strong precisely because it's not primarily about aggregate numbers but individual experiences. Take a break and read the whole thing. The latest Planet Money podcast (The Past and Future of American Manufacturing) covers the same topic. If you needed a couple of charts to accompany the presentation, I whipped up a few. But don't neglect the story of the individual. 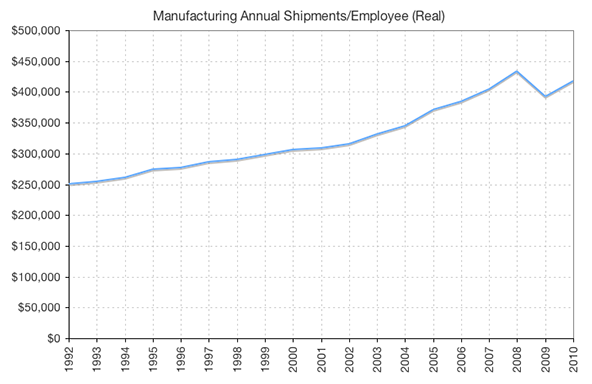 The charts below are US Manufacturers' Annual Shipments, US Manufacturing Employment and Annual Manufacturers' Shipments per Employee respectively. 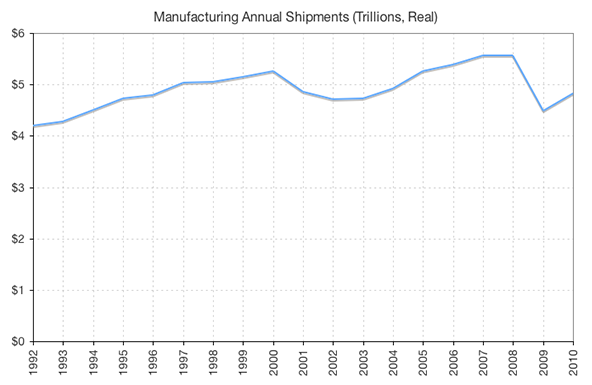 Sources: Manufacturers' Annual Shipments comes from the Census' M3 report, manufacturing employment is from the BLS. Inflation adjustments made using the GDP implicit price deflator.